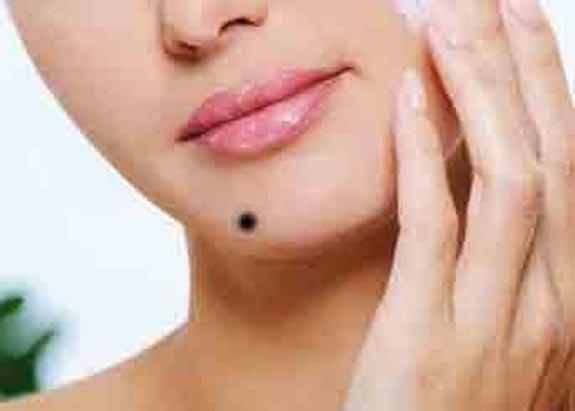 If there is a mole under Sun finger or Sun Mountain then you should take care of your eyes. He/she has to take care to maintain good relations with father. You can do such yoga. Keep water in your mouth and wash your eyes properly. You can do eye exercise. You can do Tratak. You have to take extra care if mole is in red color. You can also eat carrot and drink carrot juice. If there is a mole or spots on Moon Mountain then you might face respiratory problem. It also denotes blood disorder. In this case, you should do such remedy to purify your blood. You should eat light food and do not let bile in your body. Avoid too much thinking or imagination. It is considered beneficial to have mole on Mars Mountain. It indicates you’ll get land, property and vehicle. But you won’t get benefits if it red. You’ll get less happiness from your siblings. You have to take care while driving. If there is a mole on upper part of the thumb or lower part of the Mars Mountain then parents should check their blood pressure. In this case, children and family members can intake calcium supplements. You can also do Anuloam-Vilom. Always check the right hand’s mole. If there is mole in Rahu’s hole then you will get good money. A person has to do hard work to get this money. It is the sign of adverse Rajyoga. A mole which is in the middle part of the palm or under the palm is the sign of money and prestige. A mole occurs due to movement of planets.